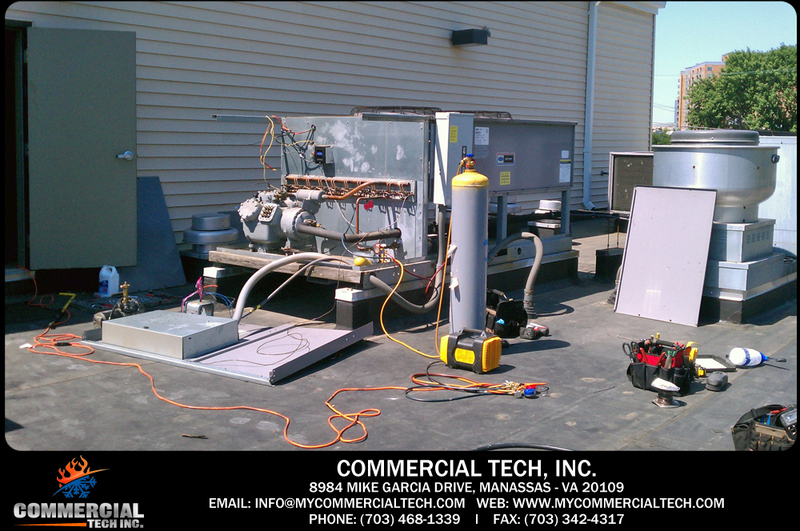 Exhaust System Install Annapolis Mall MD. 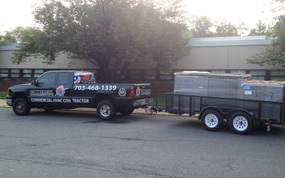 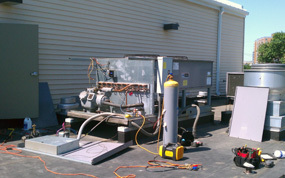 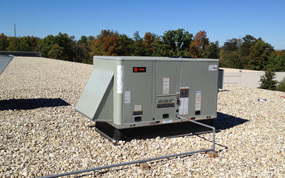 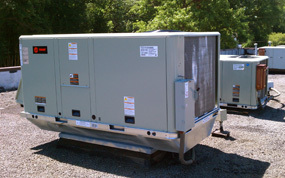 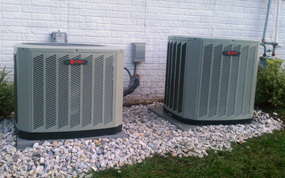 TRANE HVAC System Install Wisco Racing Inc.
Commercial TRANE Rooftop Unit Install. 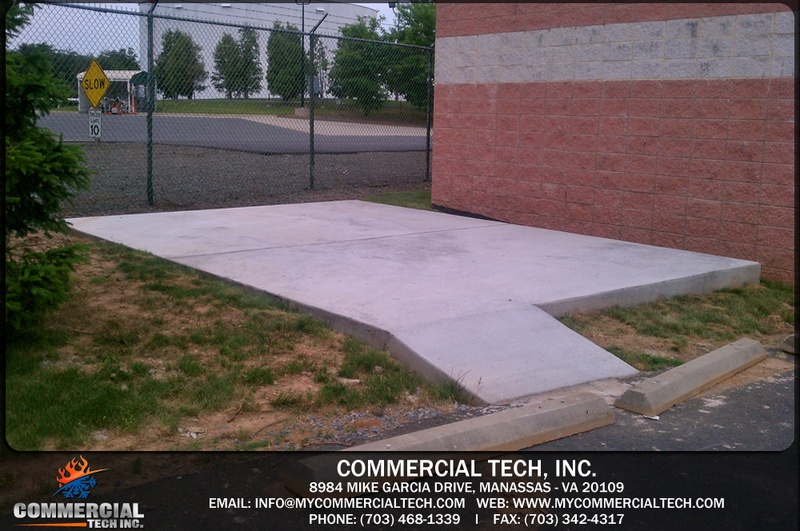 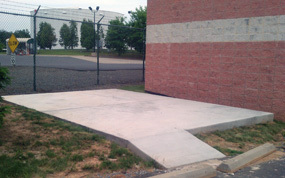 Setting up Curb Adopter for new install. 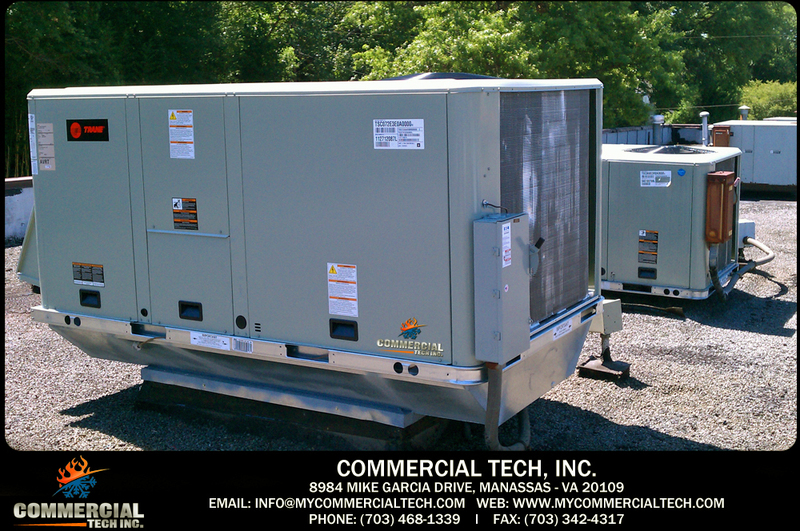 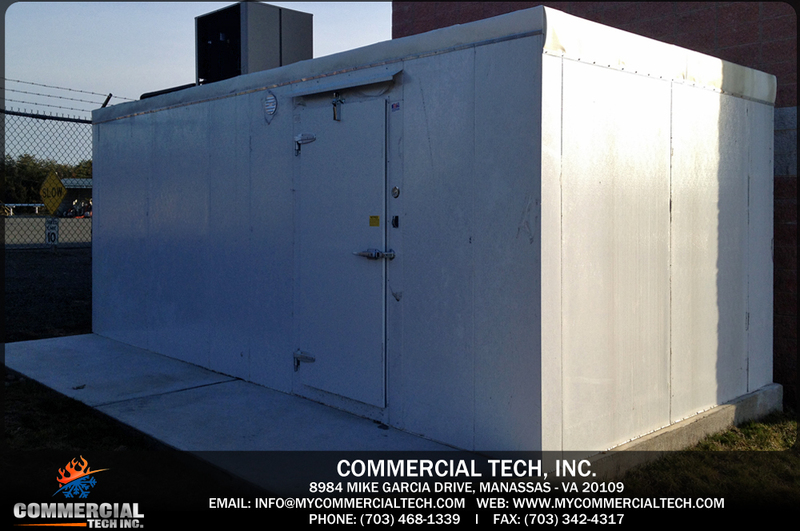 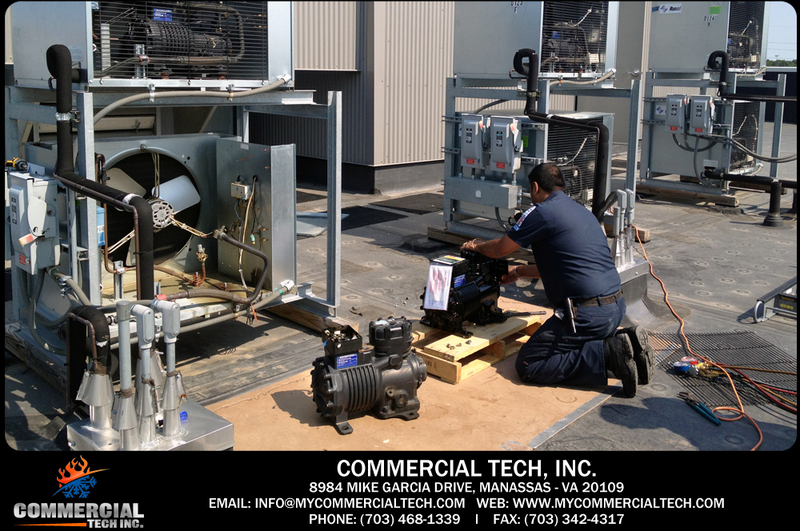 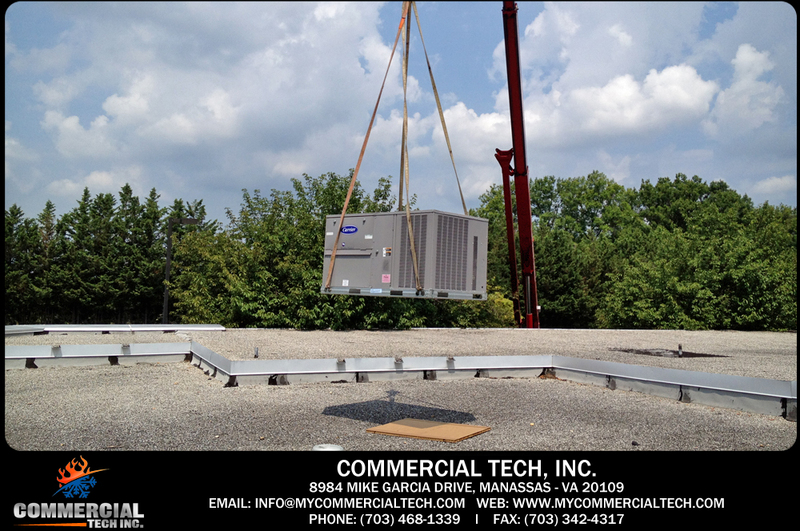 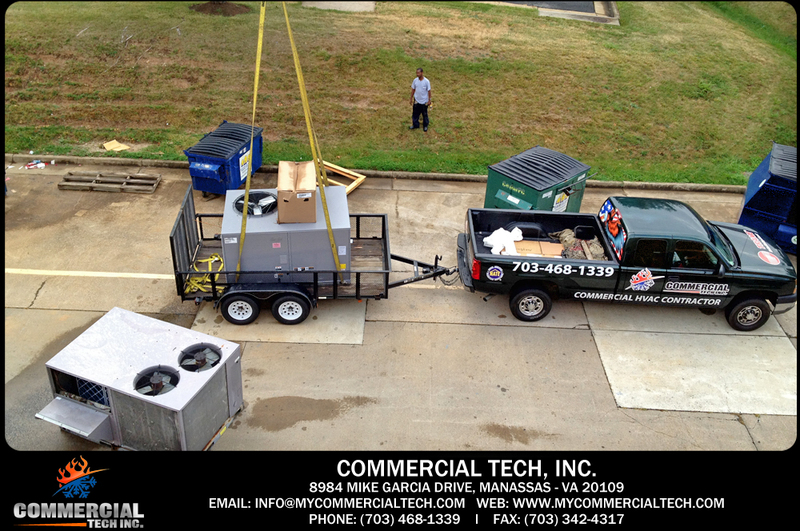 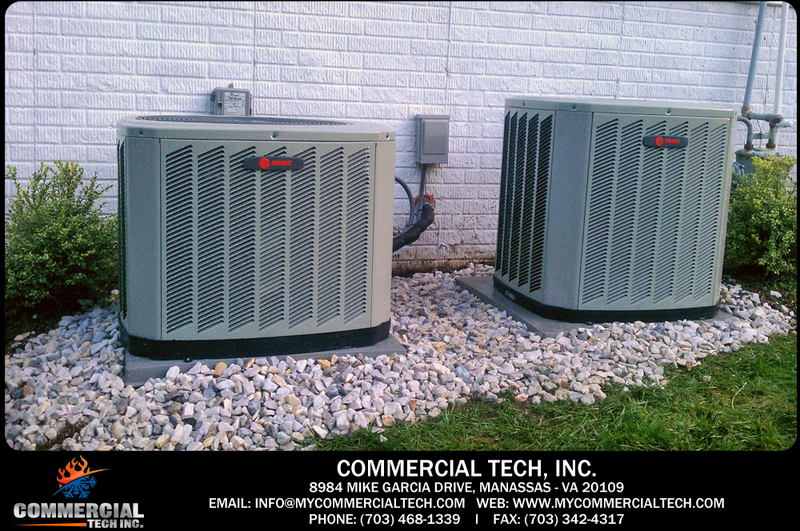 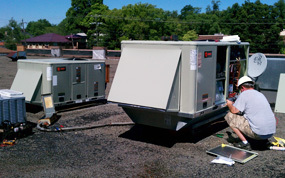 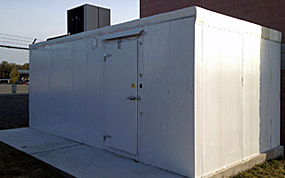 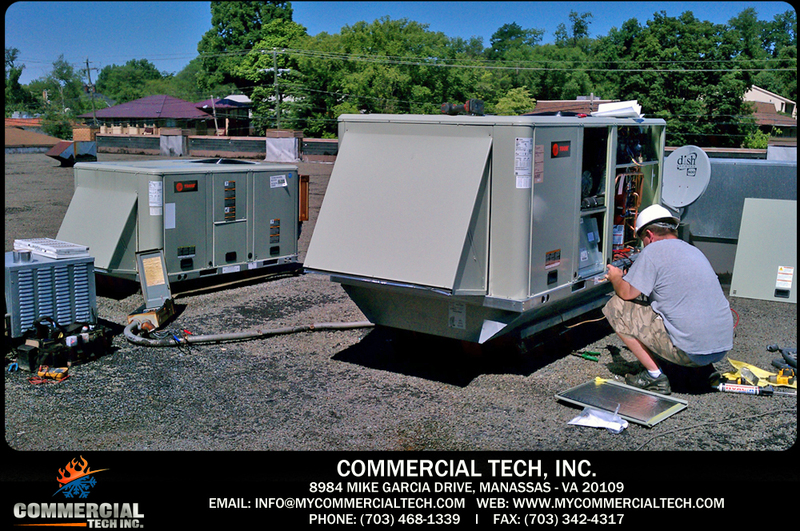 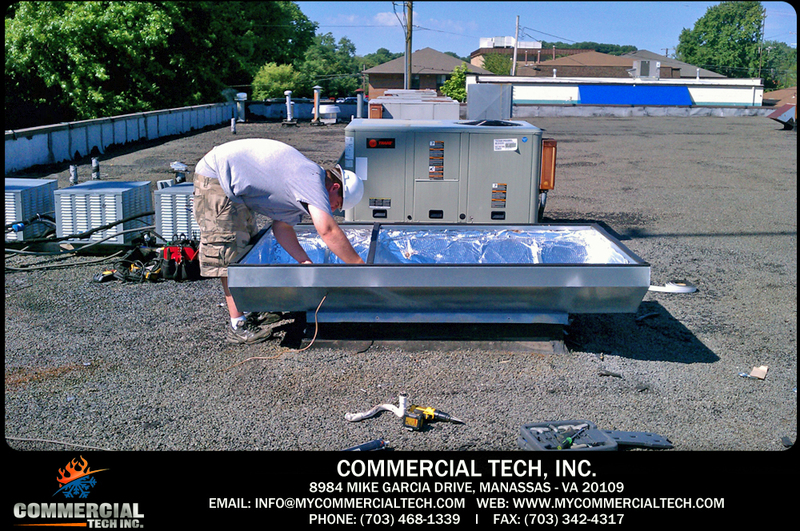 Two Carrier Rooftop Unit Install. 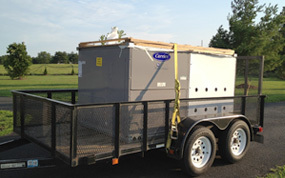 Carrier on the way to install. 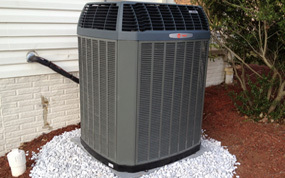 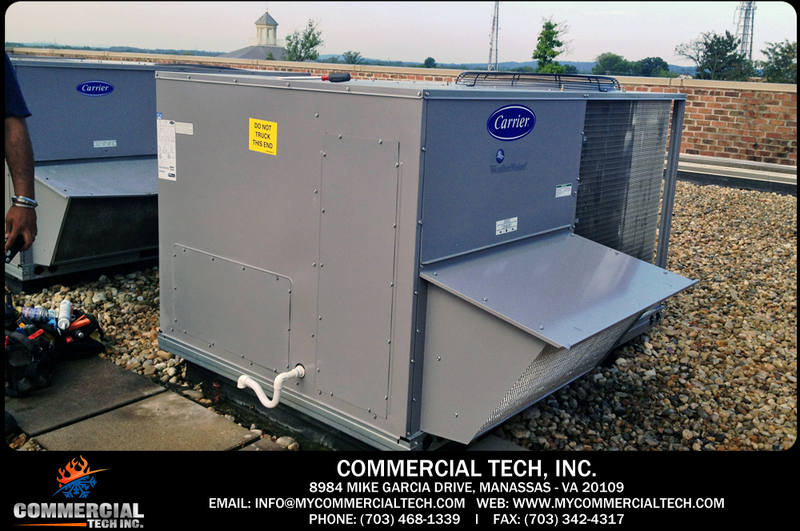 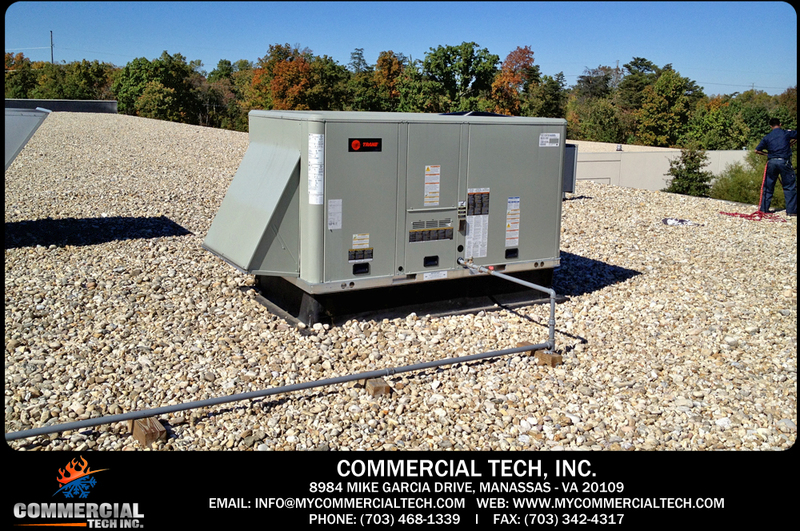 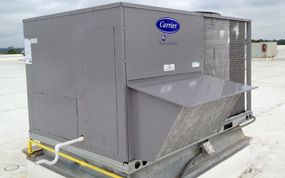 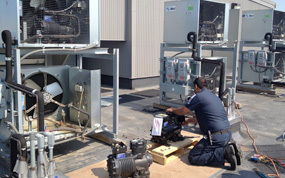 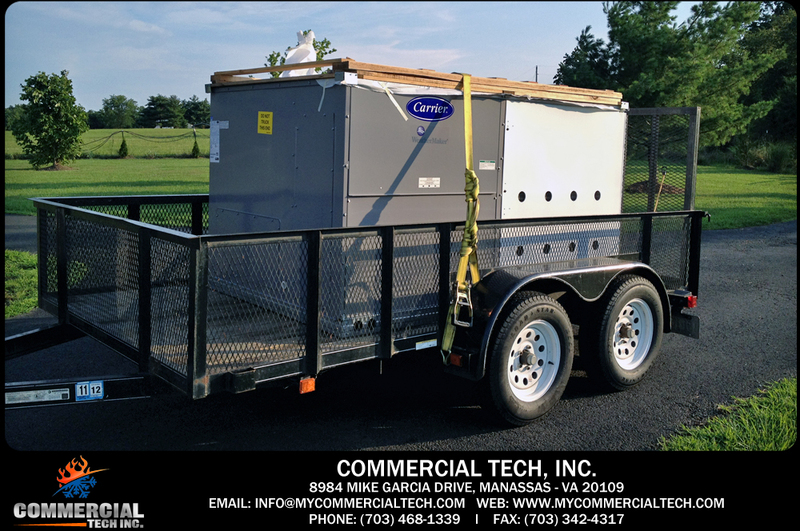 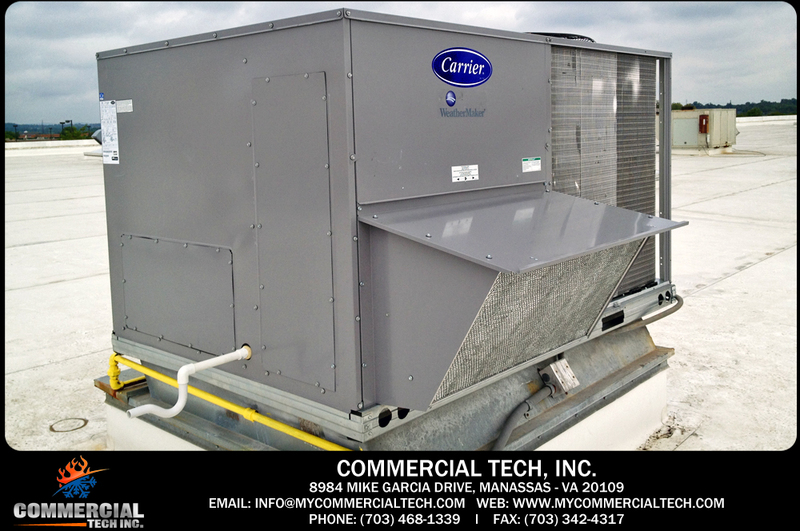 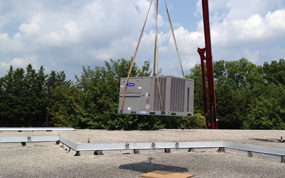 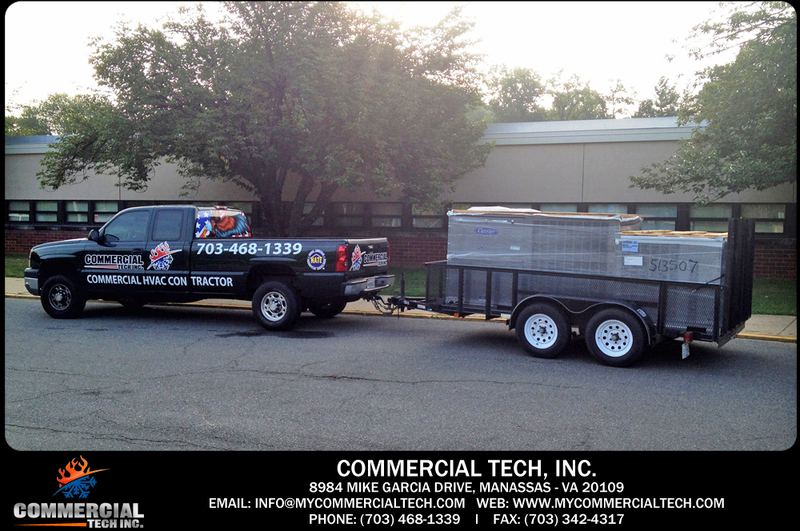 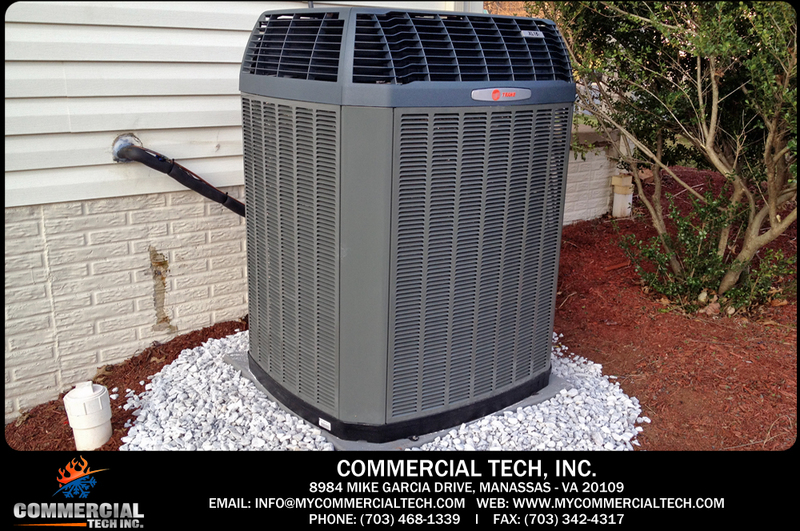 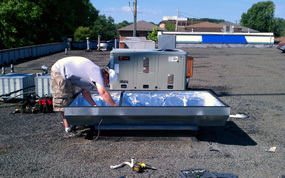 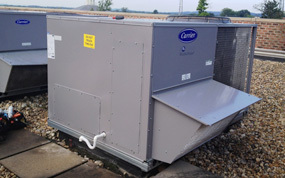 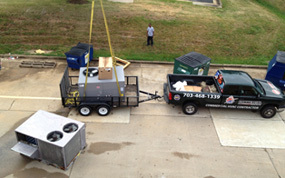 Installed Carrier Rooftop HVAC Unit. 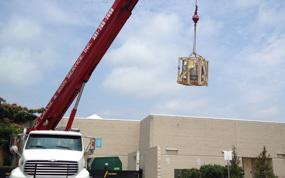 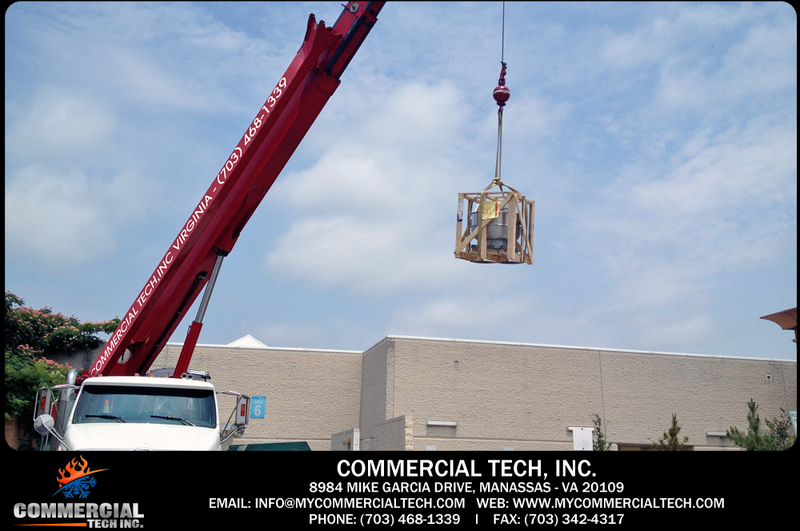 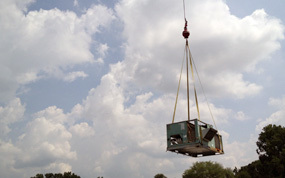 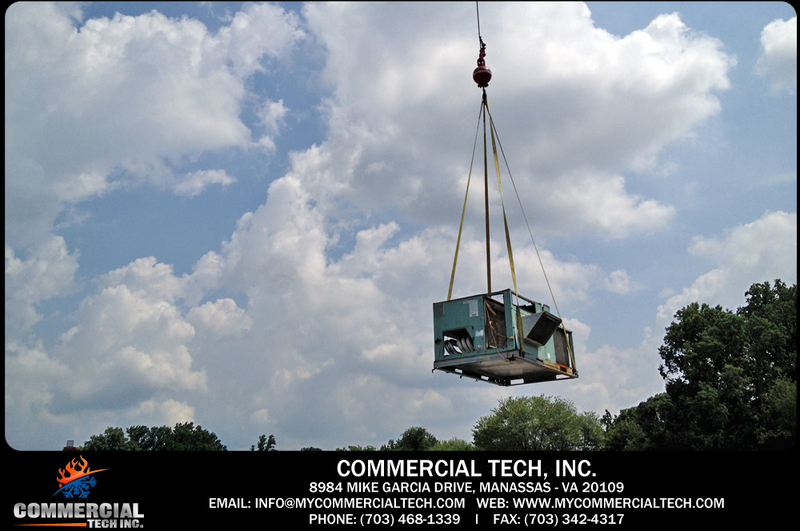 Crane Removing old Carrier Unit.